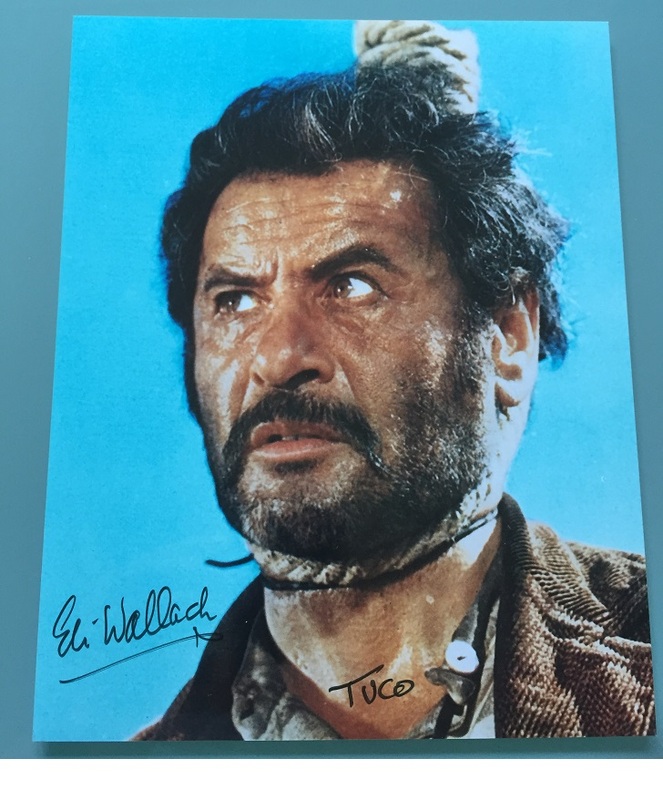 Wonderful rare Eli Wallach 8"x10" signed photo with character name 'TUCO'. A stunning action photo from "The Good The Bad The Ugly", the last movie in a Sergio Leone Spaghetti Western trilogy, made in 1966. Note: Eli Wallach is sadly no longer with us, and his autograph will only rise in value. One of the best we've seen in the 'hanging pose'. Wallach rarely signed in later years.